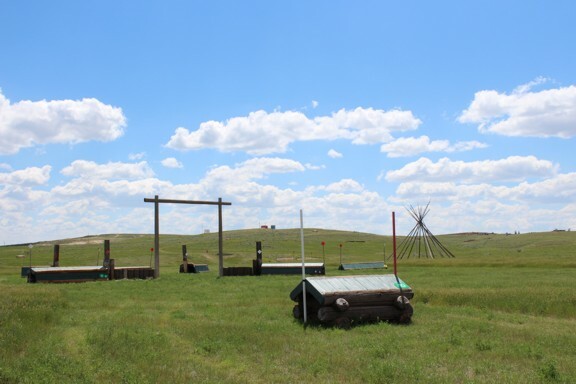 The Powder Basin Equestrian Association has built a cross-country jumping course on 80 acres of rolling prairie, just 1/2 mile east of the fairgrounds (CAM-PLEX), east of the city of Gillette. 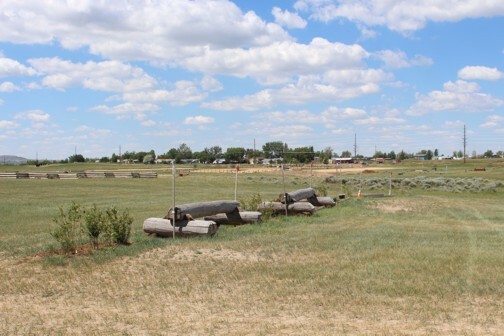 Known as Camplex Equestrian Park, the course includes 5 levels (heights) of jumps, including two water obstacles. The land is owned by Campbell County and is used by recreational walkers and horseback riders from the surrounding area. To the east of the course is a remote control airfield and a motor-cross track. No motorized vehicles are allowed on the course. 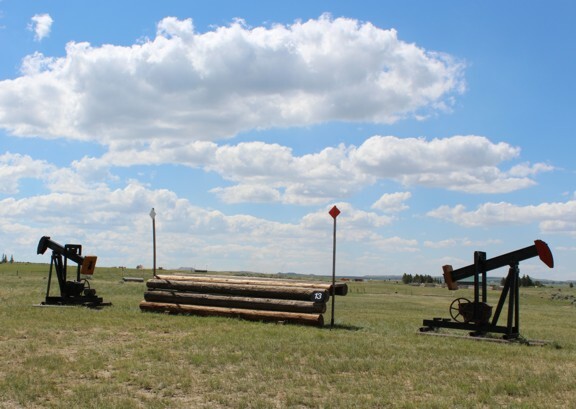 PBEA maintains the jumps and tracks on the course and riders must use proper safety equipment when schooling the course. There are 5 different levels of jumps - Elementary (18"), Beginner Novice (2'6'), Novice (2'11"), Training (3'3") and Preliminary (3'7"). SCHOOLING ON THE COURSE: MEMBERS of PBEA need a current waiver signed and are welcome to school free at any time on the course. Please call, text or email Teresa or a Board Member to let us know you are here. Cost for non-members to school the course is $30. Forms and waivers are next to the office door on the porch. Deposit in the secure pedestal box on the NE corner of the parking lot. This will greatly assist in the expense of keeping Powder Basin a viable course. 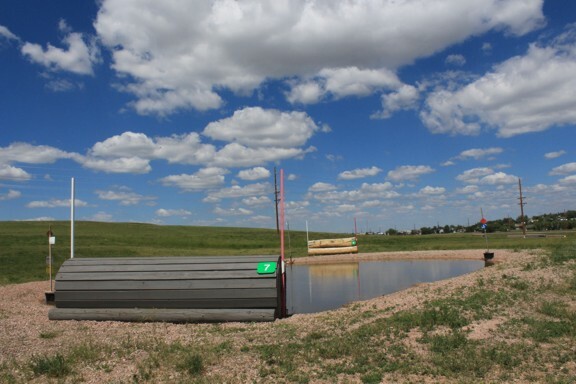 Please let us know when you are coming and PLEASE do not ruin the footing by riding and jumping, letting your horse play in the water jump or when the footing is wet! 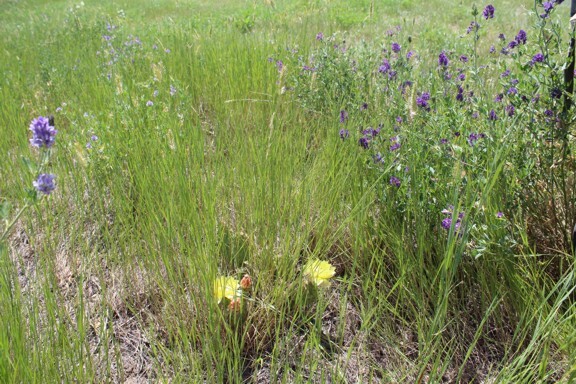 Cactus in bloom on course. Trakehners and Ditches on the back side. 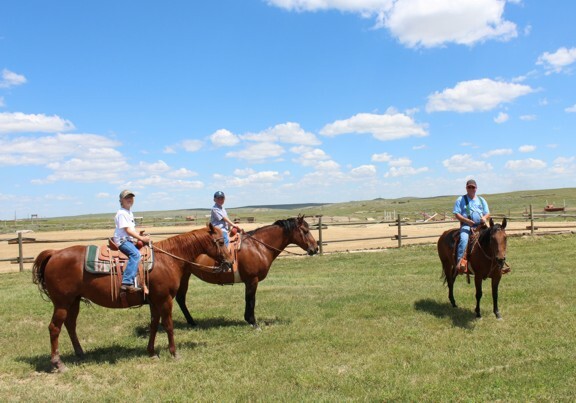 Ray and his grandsons are regular trail riders at the park.